People from Curitiba who enjoy reading can rely on another library in central area of the city. 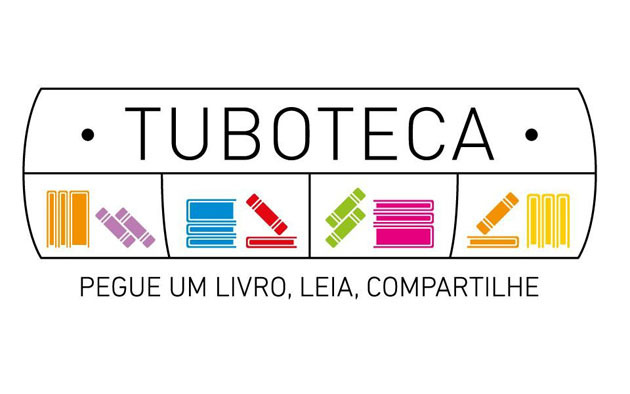 The Tuboteca (tube + library in portuguese), inaugurated to commemorate the anniversary of 320 years of the capital, counts with more than 150 works of romance, short stories, poetry and children’s literature. This libraries stays inside the tube shaped bus station. To make the loan is not necessary to register and is totally free. And if you want to donate a book, it is just to leave it on a shelf. “People have complete freedom of choice. They can decide which book they want to read and when they want return it, al the process without the need to register and any paperwork. This exercise creates identity and citizen realizes, in a beautiful way, that the city is his” said the president of IPPUC, Sérgio Pires Póvoa. The president of the URBS (company that controls the public transportation system in Curitiba), Roberto Gregory da Silva Júnior, said there is enhanced security in tubotecas, with the installation of monitoring cameras. “We have a big project to establish about 700 cameras in bus terminals and the tube stations, so reassuring citizens and assists in the operation of the system,” he adds. The first Tuboteca is installed in Praça Rui Barbosa. This entry was posted on May 21, 2013 by Carol Beatriz in News and tagged books, Brazil, creativity innovation, Curitiba, experiences, Reading, sharing.